Kathy Zahedi, DDS & Associates, located in Santa Monica, California, offer root canals and other dental procedures. 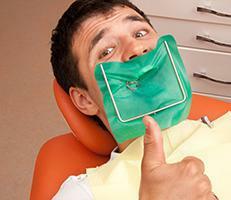 A root canal is a procedure that can save a damaged tooth that may otherwise require extraction. A root canal is a dental procedure that treats the soft tissue, or pulp, which runs down the center of your tooth and houses all the blood vessels and nerves. Normally the pulp is protected by the hard enamel on the outside of the tooth, but it’s possible for tooth decay or an injury like a cracked or broken tooth to get through the enamel and reach the pulp. If infection forms and is left untreated, it can damage the surrounding bone. Since infected pulp won’t heal on its own, treatment is essential. The only treatment options are to extract the tooth or save it by performing a root canal. 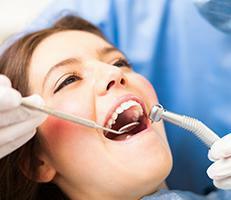 The procedure is called a root canal because it cleans out the canal inside the tooth that holds the soft tissue. A local anesthetic is injected to ensure your comfort during the procedure; then the dentist uses a special tool that goes through the enamel to the pulp. All of the infected material is removed, the canals are cleaned out, and then they’re filled with a substance that permanently keeps out infection. The next step depends on the extent of the damage to the tooth. A filling is applied to seal the tooth, which may be permanent or temporary. If damage to the tooth is minor, the seal may be sufficient. Howeer, if the tooth has become weakened by the decay or injury, it may need a crown for protection. As long as you continue to follow good oral hygiene, any tooth restored with a root canal can last for the rest of your life. However, once the pulp is removed, the tooth is no longer alive, which means that over time, it may become brittle and more prone to crack or fracture. If any of the bone surrounding the tooth was damaged, it will heal and rebuild after the root canal — a change that’s visible on X-rays when you go in for a check-up. If it’s been awhile since your last dental exam, please schedule an appointment with Dr. Zahedi, because a mild abscess can be lurking even if you don’t have pain or other symptoms, like sensitivity to hot or cold foods and drinks.